7) How long did you, or will you continue to be able to stay there? 8) Have you been homeless since you left the shelter? 9) Have you received support from your Housing Connect worker since you left Hobart Women's Shelter? 10) Have you accessed the following supports since you moved out? Material needs: clothing, furniture etc. 11) We don’t currently provide group activities for women after they leave Hobart Women's Shelter. If we did, would you be interested in attending? 12) What advice would you give other women after they leave HWS? 13) What do you think was the most positive part of using Hobart Women’s Shelter? 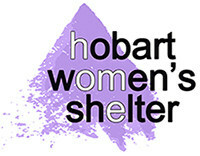 14) How do you think Hobart Women’s Shelter could improve what it does?